The dosage of color, flavor, and acid needs to be very accurate and reliable. 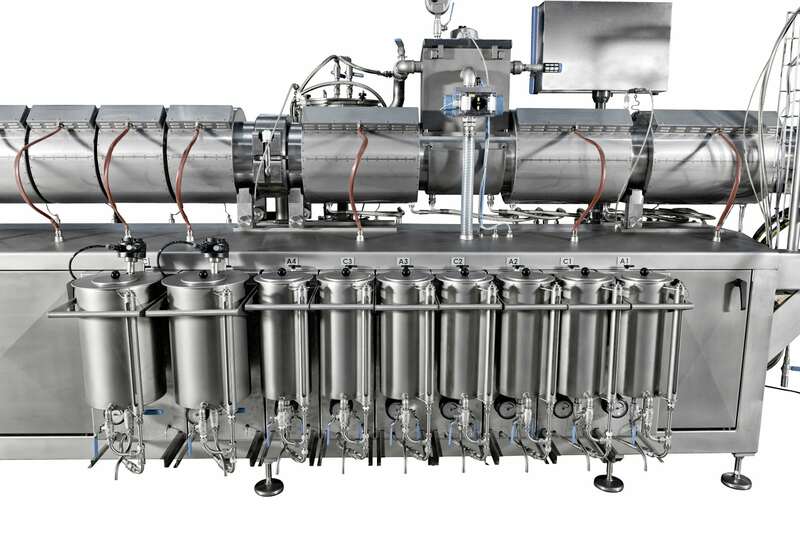 The systems designed by Extrufood meet these requirements by making use of high quality components and advanced controls. Each component is individually controlled and designed for accurate dosage, assuring that the product has a consistent flavor. To control expenses when using high cost flavors, highly accurate flow meters or ‘loss in weight systems’ can be used. These feedback systems assure that the correct amount of flavor enters into the product stream at all times. Depending on the design and type of extruder as well as the customer’s preference, the dosing pumps and tanks can be placed on the main extruder frame or be placed on a seperate movable skid.